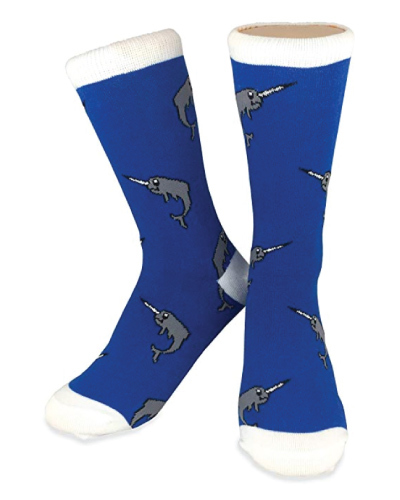 Looking for a narwhal gift? 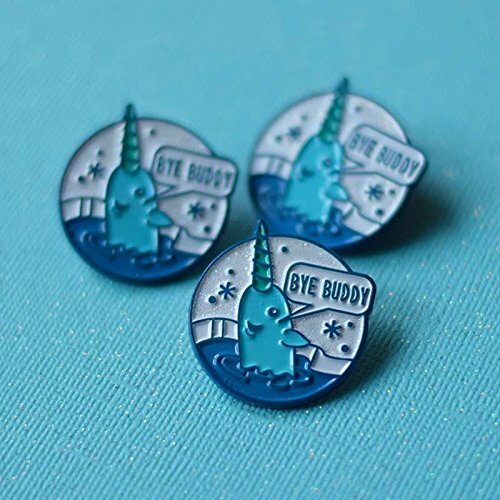 Here’s the ultimate list of narwhal gifts to get for the narwhal lovers in your life. 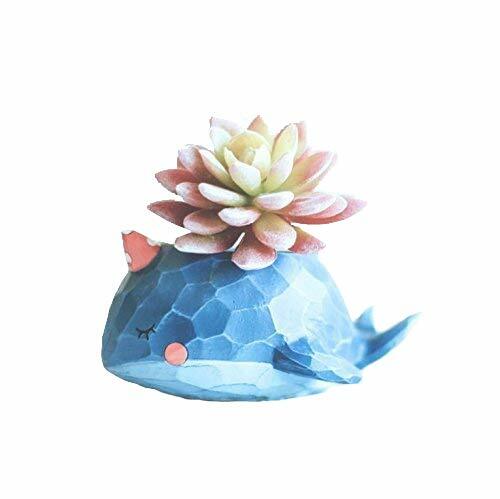 Find narwhal things that are cute and unique below. 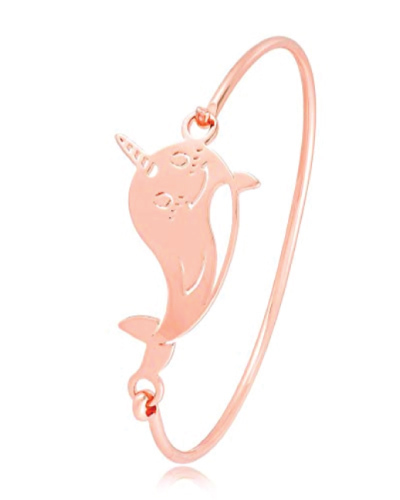 We have to admit that sea unicorns are magically cute! 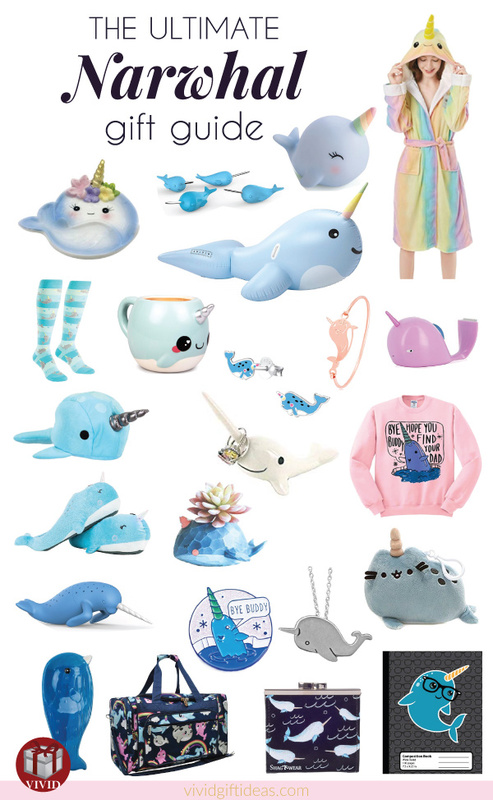 These 31 narwhal gifts that we’ve handpicked are hard to resist — especially for someone who loves narwhals. 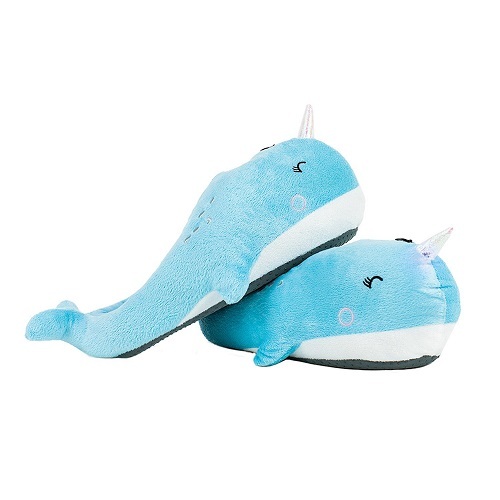 You might even end up buying one of these cute narwhal gifts for yourself. You have been warned! 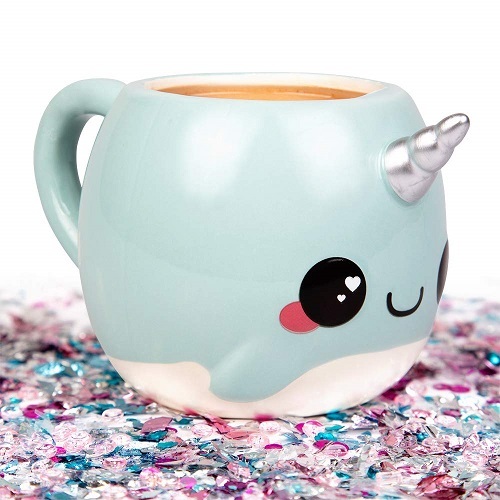 Feel the magical vibe when you drink your morning coffee from this cute narwhal mug. 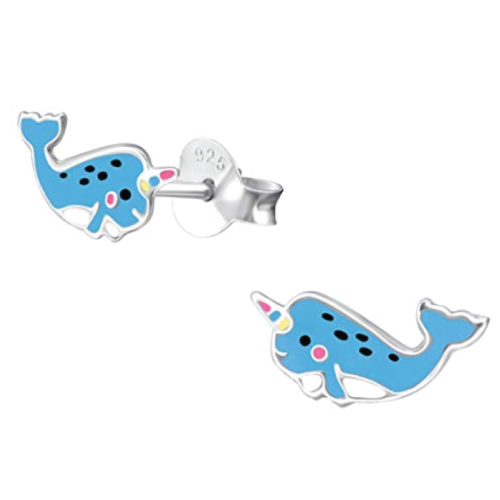 Let this cute narwhal be the keeper of your little gems and treasures. 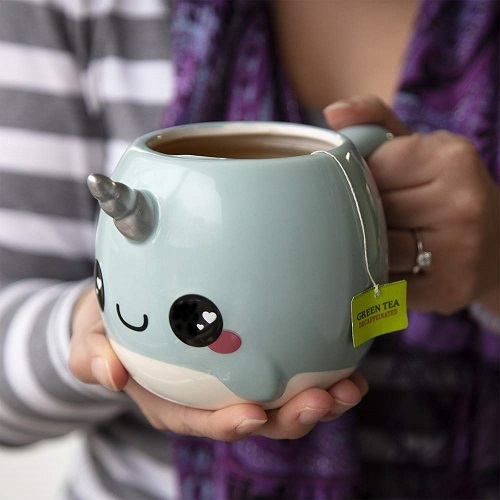 Tea lovers will be impressed by this mythical creature that swims in their tea. 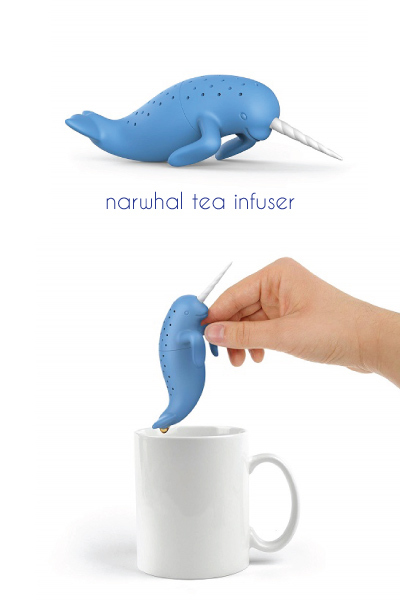 Gift for Narwhal & Tea Lovers. Hang this on the wall and be inspired. 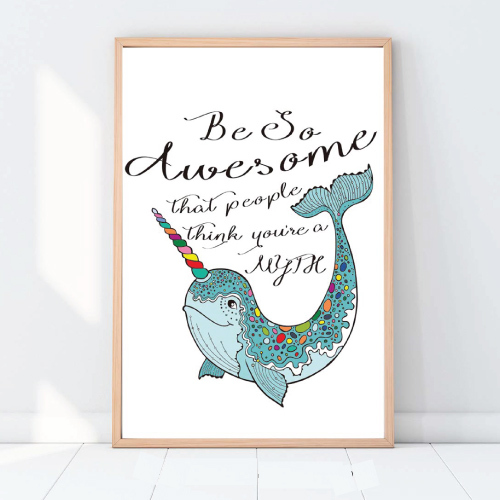 The narwhal poster reads “Be so awesome that people think you’re a myth”. 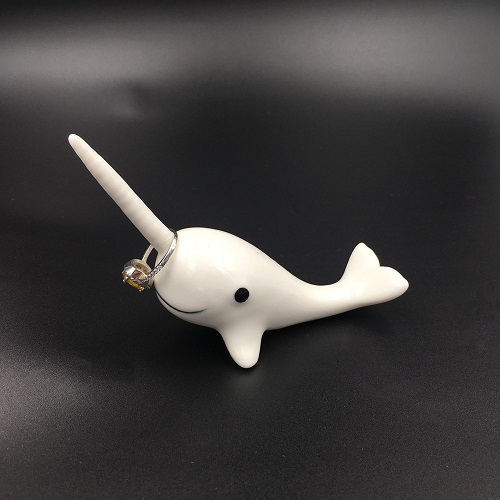 This narwhal gift is an excellent housewarming gift for narwhal lovers. A playful addition to her kitchen. Mini plant looks more attractive in this pot. 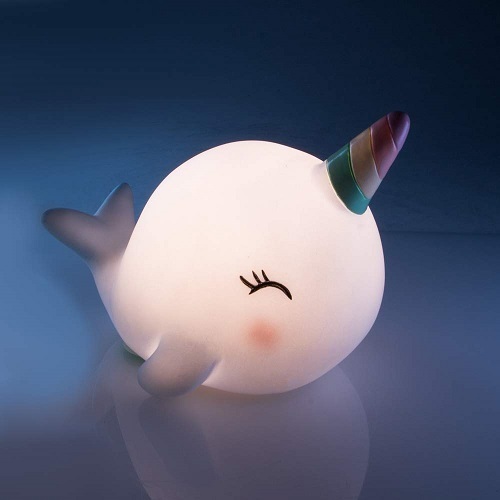 This lovely unicorn of the sea will fill your room with a warm ambiance. Her tusk is strong enough to hold your favorite rings. 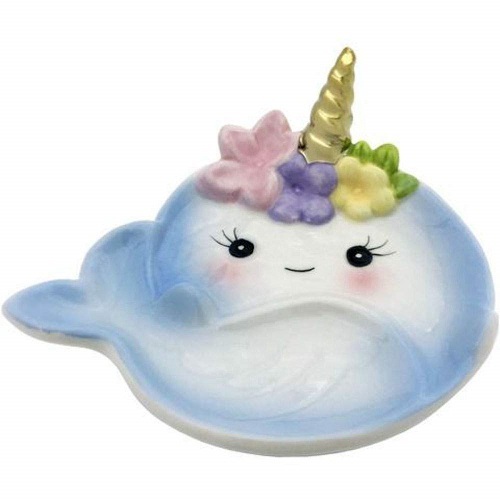 A school of sea unicorns to decorate your bedroom. 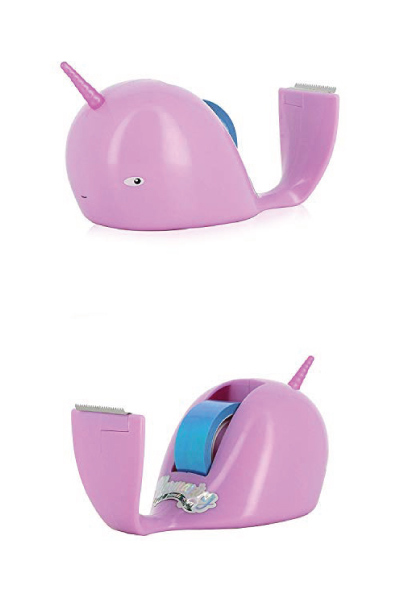 Reach for the narwhal whenever you need tape. Stab your papers, notes, and photos in the coolest way. 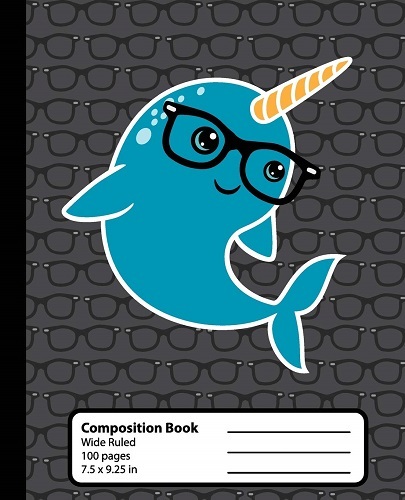 A must-have school supplies for the kid who loves unicorns of the sea. 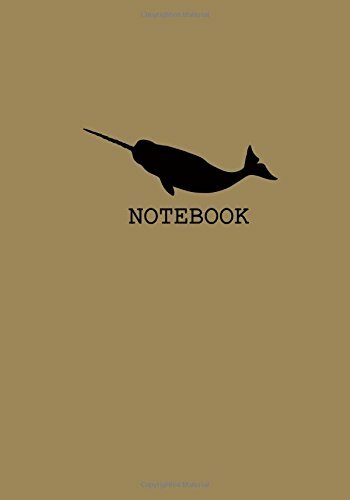 A blank, unruled notebook for us to sketch, draw, or write anything. She will love the brilliant colors and the heavy gold foil accents. 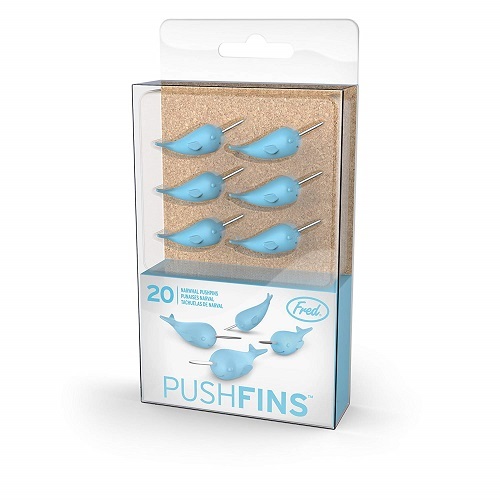 Add a little fun to your school bag. It will be a big hit! Check out the gold and silver version. You definitely need one for yourself. A darling piece that she will adore. Wear it on your neck. 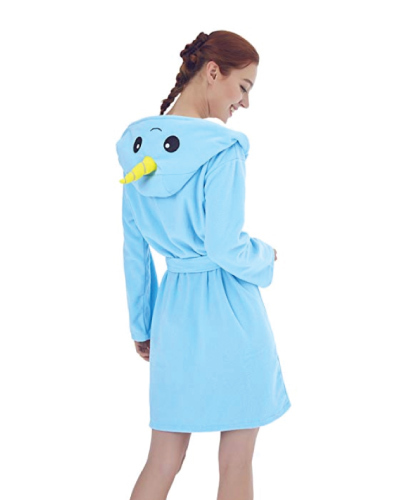 It looks adorable and stylish. 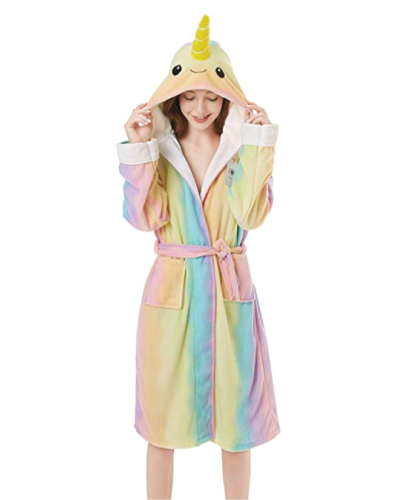 I can’t wait to wear this. It is too darn cute! 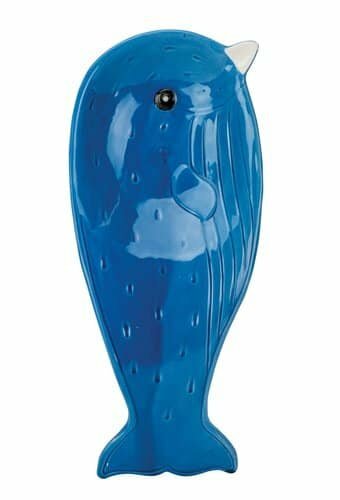 Let them swim around freely on your feet. For the Elf fans. 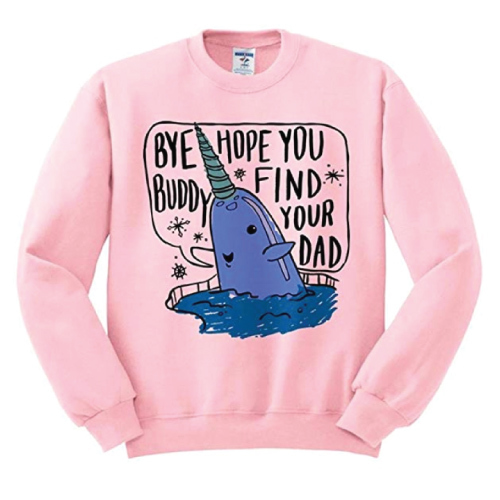 Our favorite part of the movie is when Mr. Narwhal says bye buddy hope you find your dad! Wear it and have amazing dreams at night. This comes in many sizes. 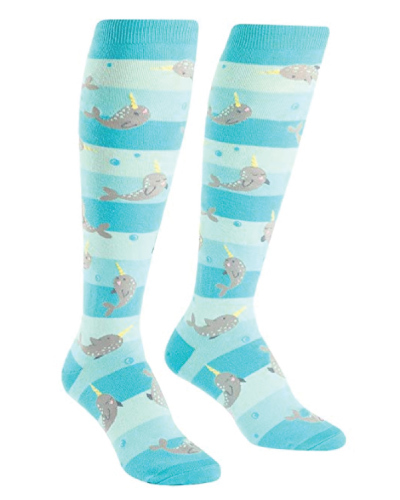 A great gift for the girls and boys who love narwhal. Light up the tusks to see them change colors. 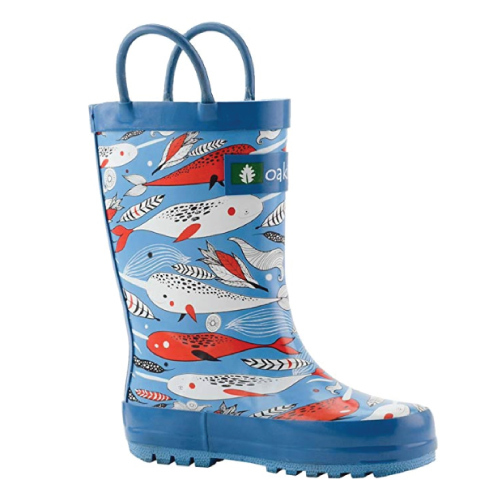 Protect your child’s feet when they are playing outside. 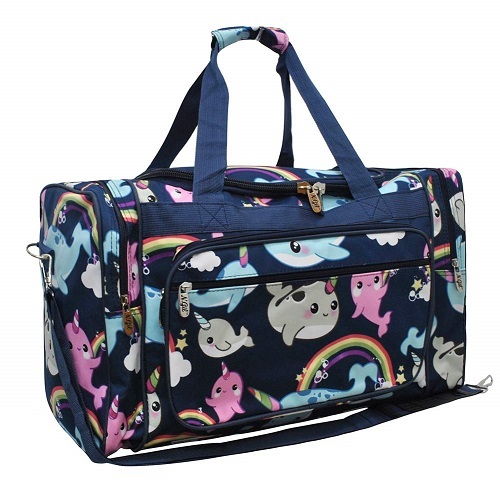 Get carried away by the unicorn of the sea, anyone? 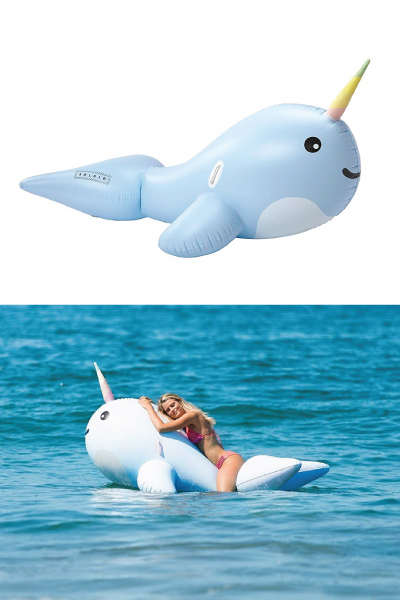 See even more adult-sized pool floats. A beautiful coin purse. 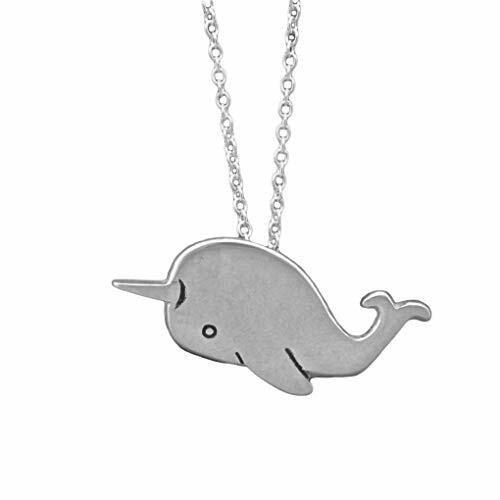 Narwhal gift for women. A charming piece for the Elf fans. 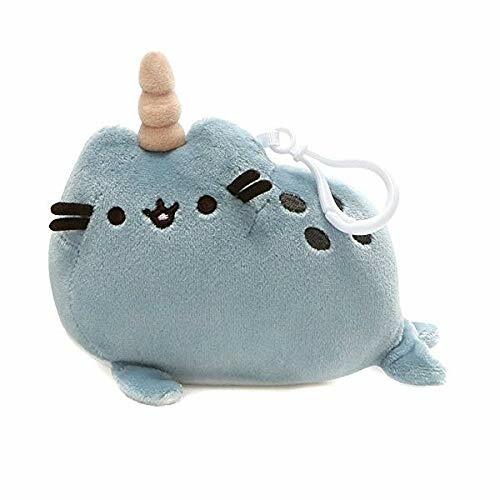 Cheap & cute narwhal gift. 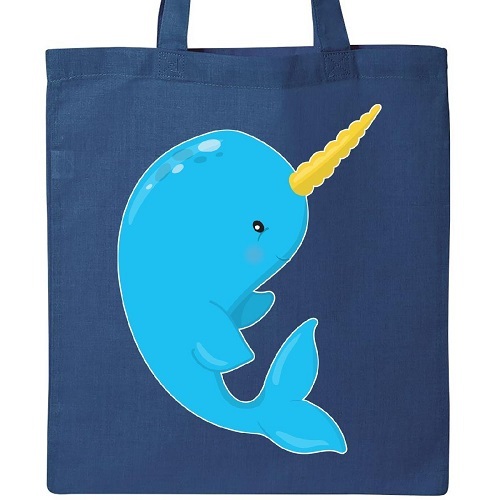 A narwhal tote bag is the happiest way to haul your groceries and other belongings. 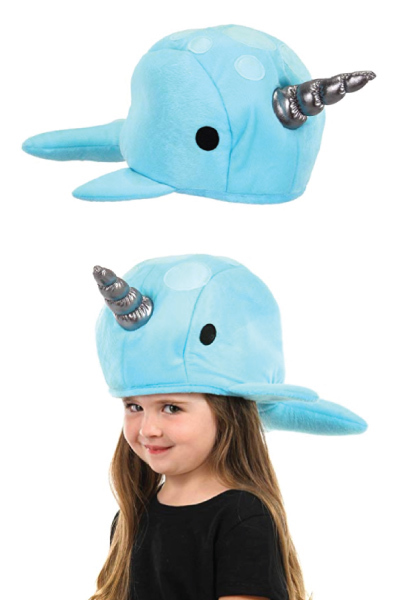 The kids who are obsessed with narwhal will be thrilled to get this. 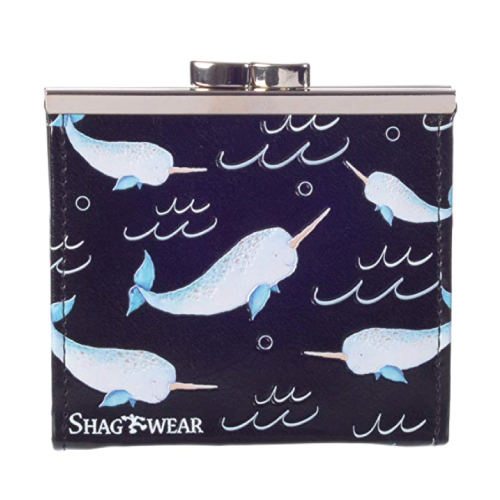 Declare your love for narwhal even when you are traveling. 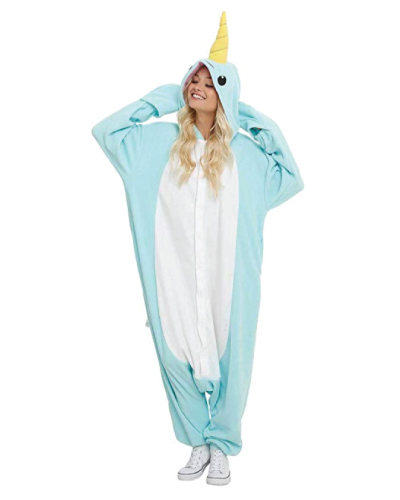 That concludes the list of narwhal gift ideas. 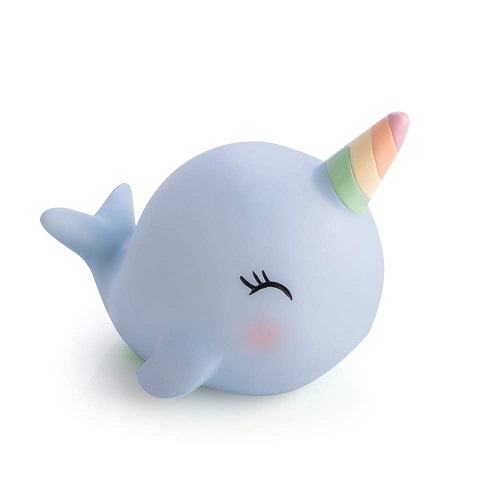 Did you find the narwhal gift that works for your narwhal lover? Did you not find a suitable gift? Let us know! 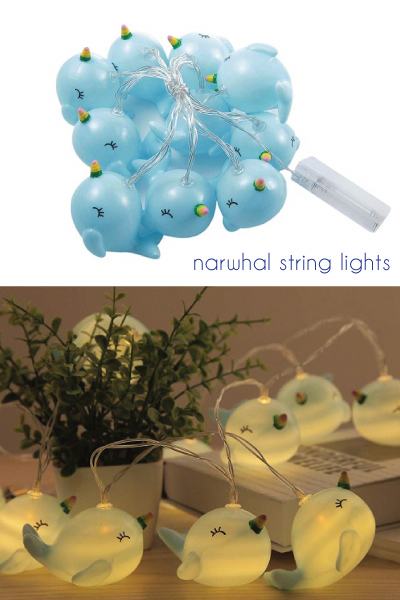 Looking for more ideas related to narwhal gifts? 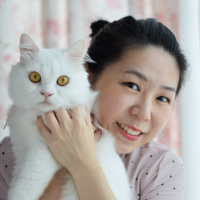 Check out these related articles below.